Have you heard the news? 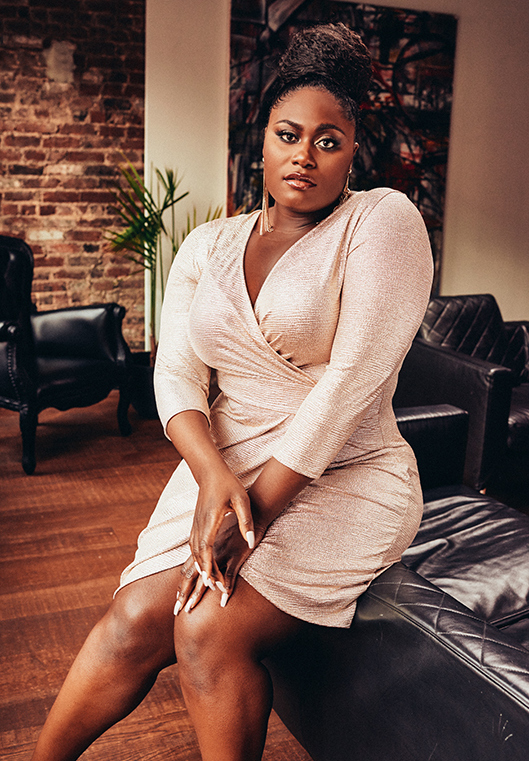 Plus size retailer, Fashion to Figure has launched a collection with Danielle Brooks! 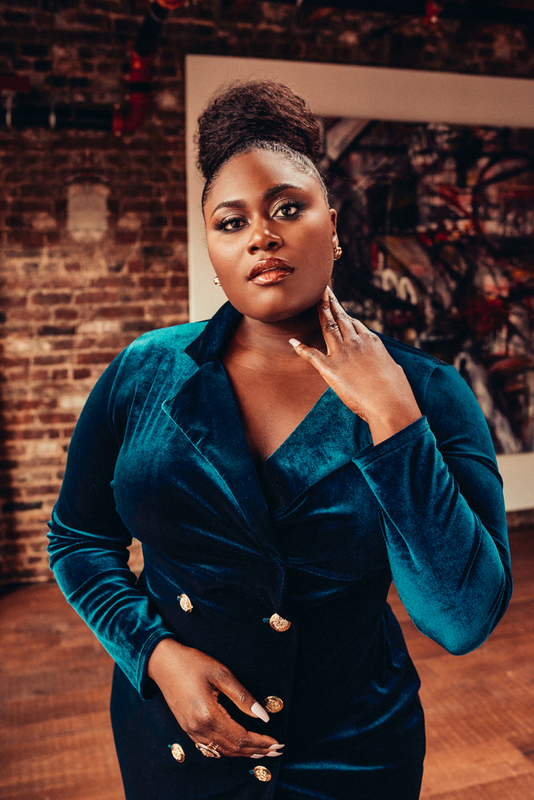 The Danielle Brooks x FTF Holiday Collection is hot! Have you seen what Fashion to Figure has been up to? Ever since their acquisition from New York & Company, the business has been busy and up to quite a lot. 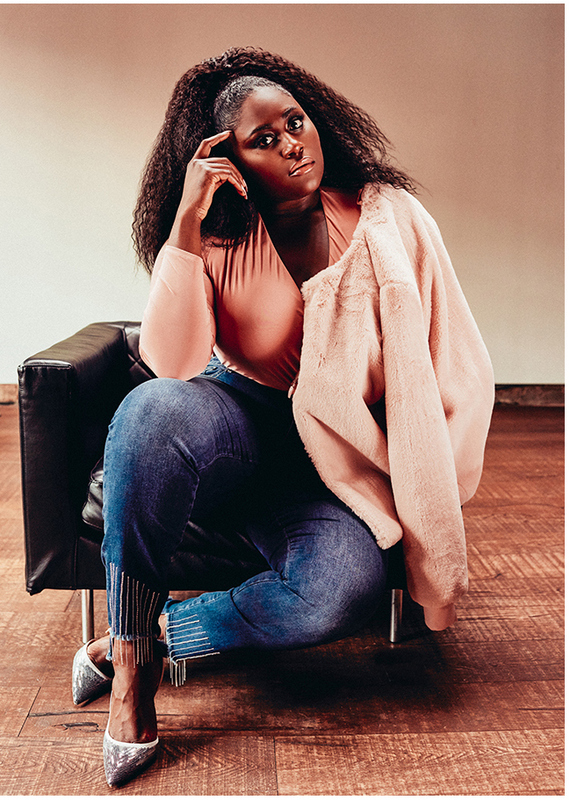 First of all, they switched back to their main URL, making it so much easier to shop opened new stores (hello Cumberland Mall) and most recently, teamed up with plus size actress, Danielle Brooks! And this week, they’ve dropped the Danielle Brooks x FTF Holiday Collection! Who knew that Fashion to Figure has been busy! And obviously, so has Danielle Brooks! 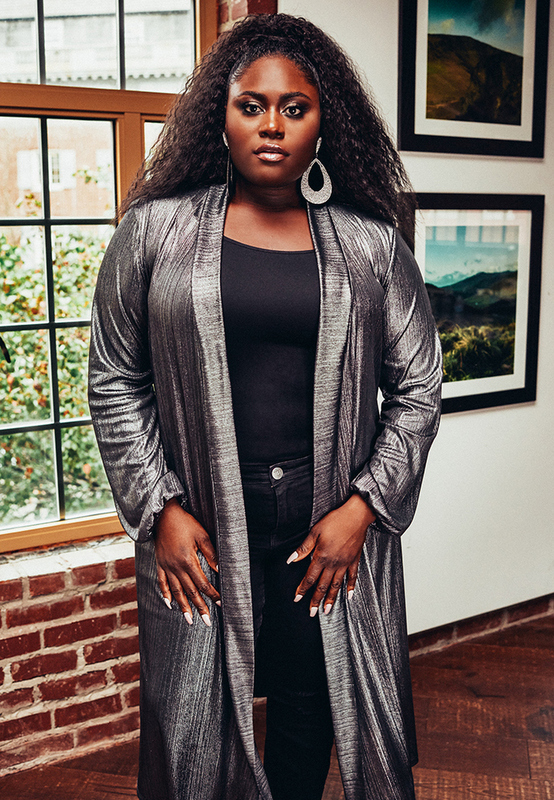 The Danielle Brooks x FTF Holiday Collection features looks hand-picked and curated by Danielle and “represents a mix of evening gowns, casual separates, and party dresses suitable for every holiday occasion.” The curated collection takes from the Fashion to Figure that we remember, marries on trend plus size fashion, all with a Danielle Brooks vibe- bold, chic, and sultry. Don’t believe us? Then you have to check out the look book and the pieces that we are in love with AND that are perfect for the holiday season! Fly, right? We need that velvet jacket dress, stat. 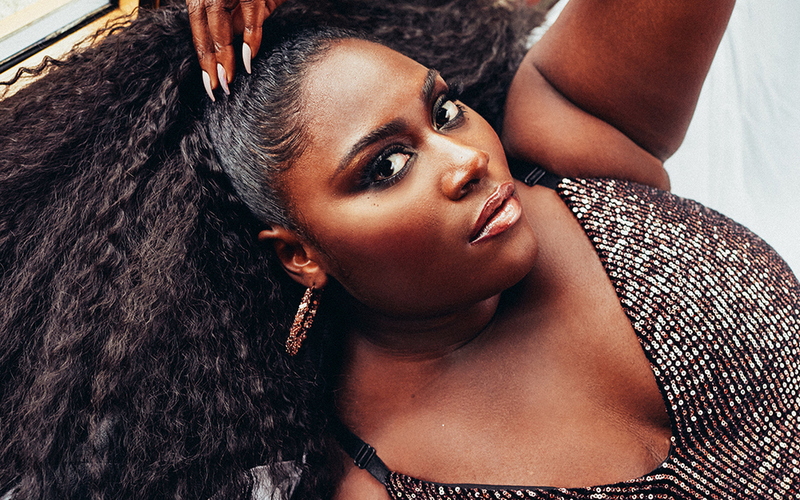 Danielle brooks has been quite the vocal one (thank you) about representation in plus size fashion on the mainstream level. She has taken her influence, voice, and confidence and has dove into the fashion world! After a successful collab with Universal Standard, this collaboration with Fashion to Figure bring awareness and attention back to the brand in the most welcoming way! And that video? Hey girl, hey. The video, the looks, and the vibe already has us thinking about what we need to buy and where we are going to where it for the holidays… right?! 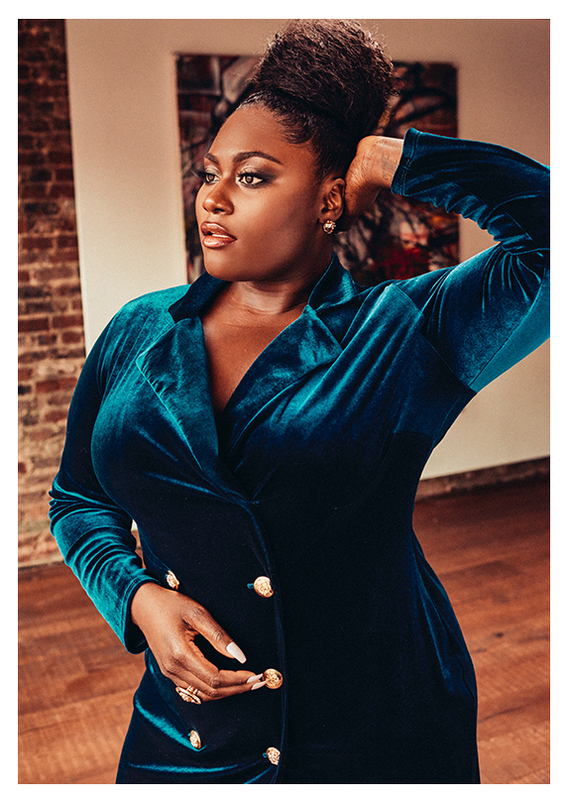 Shop the Danielle Brooks x FTF Holiday collection at FashiontoFigure.com! Have you been watching what Fashion to Figure has been up to? Are you a fan of this collaboration? Are there pieces that have you intrigued? We are happy to see that Fashion to Figure has tapped such an inspirational, motivational, and confident woman to rep their holiday collection, and we are here for this.